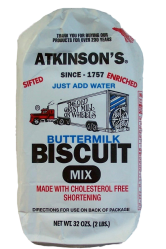 If you love the taste of soft, fluffy homemade biscuits like Grandma used to cook; you need to try Atkinson's Buttermilk Biscuit Mix. Your biscuits will bake up light and fluffy every time. Since we've already added the buttermilk, all you do is mix with water, knead the dough, put 'em in the oven and bake. Brush on melted butter while still hot out of the oven. You'll have delicious biscuits that will stay soft, even till the next day. Just warm up any leftovers and they are still great. 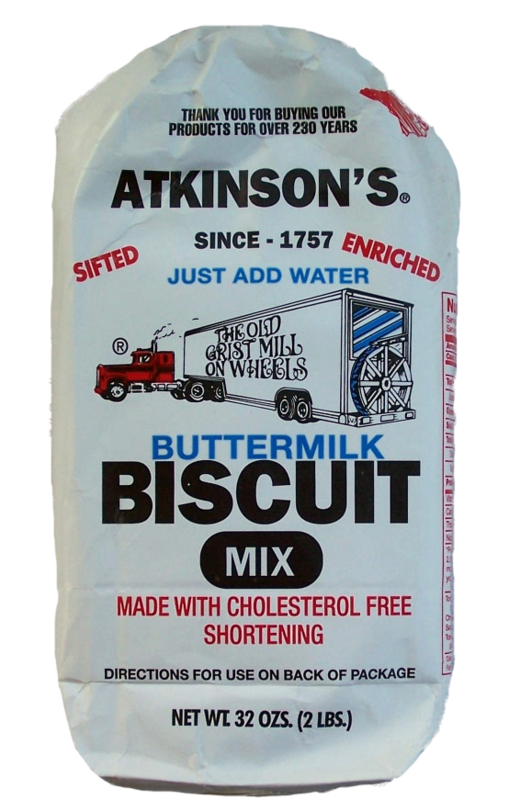 Only Atkinson's biscuit mixes offer that kind of holding time. So treat your family and friends to the best "homemade biscuits" they ever tasted. We won't tell them it came from a bag, if you don't!